We believe in the deity of Jesus Christ as the Son of God, conceived of the Holy Spirit, born of the Virgin Mary, very God and very Man, His sinless life and His death on the cross of Calvary, that He died for our sins, His ressurection and ascension into heaven and His return to earth in all His glory and power. Isa 9:6; Luk 1:31-35; Rom 1:3-4; Rom 5:10-11; Acts 1:11; 1Cor 15:1-8; 1Tim 2:5; 1John 2:1; Heb 13:8; Rev 19:13-16; 1John 5:20. We believe in the deity, the personality, and the work of the Holy Spirit , co-equal with the Father and the Son. It is the Holy Spirit who formed the Church on Pentecost, who indwells, empowers, and equips the believer to live a godly lifestyle, He convicts the nonbeliever of sin. Gen 1:1-2; Psalms 104:30; Job 33:4; John 16:7-8,13,14:16-17,26; 1Cor3:16,6:19; Eph 1:13; Acts 2:1-4; Rom 8:11. 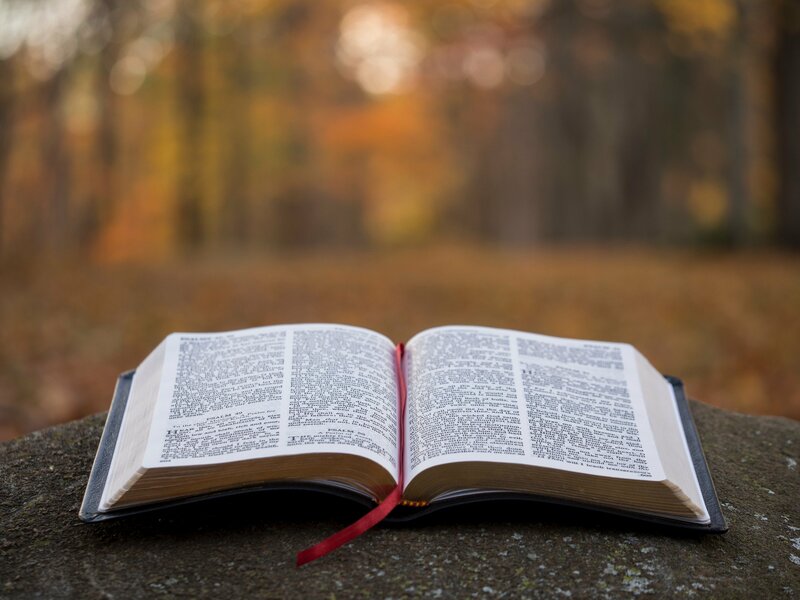 We believe that all Scripture is given by inspiration of God, that the Scriptures are infallable, inerrant and the sole and final authority for all matters of faith and conduct. The Word of God , the Bible, is the only authoriative written revelation of God. The Bible stands alone, as the inspired revelation of God. John 1:1; 2Tim 3:16; Heb 4:12; Psalms 19:7-8; Isa 55:11; 2Pet 1:20-21; Rom 10:17,15:4; Rev 22:18-19. We believe in the salvation of sinners saved by grace, through repentance and faith in the perfect and sufficient work of Jesus on the cross of Calvary, was buried and rose again on the third day, and appeared to the disiples. In Jesus we obtain remission of sins and that Jesus is the only way to the Father and eternal life. John 3:16; Rom 4:25,5:11,10:9-13; Eph 2:8; 2Cor 5:21; 1Cor 15:3-6; Acts 16:31; John 6:47,14:6,21:1; 1Tim 2:5; Mark 16:14. We believe in the born again process and discipleship of the believer to maturity in Jesus Christ. (The Great Commission) John 3:3; 2Peter 3:18; Matt 28:19-20; Eph 3:17; Col 1:10,2:7; 1Peter 2:2. We believe in the creation, test and fall of man, unable to attain Divine righteousness as written in Genesis. Gen 1; 2; 3; Psalm 33:6; Rom 5:12,18-19; Heb 11:3. We believe in water baptism by immersion and in the name of the Father, Son, and Holy Spirit as commanded by our Lord Jesus Christ. Matt 28:19; Mark 16:16; Acts 2:38,41,22:16; Gal 3:27. We believe in the baptism of the Holy Spirit as a real experience, with the evidence of speaking in unknown tongues as the Spirit gives utterance, as the Holy Spirit fills and indwells the believer's spirit. Mark 16:17; Luke 3:16; John 20:22; Acts 2:4,38; 8:15-17; 10:44-45; Acts 11:15-16; 19:6; 1Cor 3:16; 14:2,4; Eph 5:18; Jude 1:20. We believe in the Table of the Lord , also called the Communion or the Lord's Supper for believers as Jesus commanded; do this in remembrance of Me. Matt 26:26-28; Luke 22:14-20; Mark 14:22-24; John 6:58; 1Cor 10:16, 11:23-26. We believe in the operation of the gifts of the Holy Spirit in believers for the edifying of the Church today, as it was manifested in the early Church. Acts 2:17; 21:9; Rom 12:6; 15:19; 1Cor 12:4-11; 1Cor 14:5,12,31; Heb 2:4. We believe in the healing of the body by Divine power, or Divine healing, as Jesus commanded in the New Testament and its varied aspects as practiced in the Early Church to be evident in the Church today. Ps 30:2; 103:2-3; Isa 53:5; Matt 10:1,8; Luke 10:9; Mark 16:18; Acts 3:6-8; 4:30; 5:15-16; 9:33-34; 1Cor 12:9; James 5:14-15; 1Peter 2:24. We believe in the Fivefold Ascension-gift ministries that are; apostles, prophets, evangelists, pastors, teachers as gifts to the church, FOR equipping, maturing, edifying, and balance in ministries and the Body of Christ today, to the unity of faith and knowledge,fullness of Christ. Jer 3:15; Acts 11:27; 13:1; 15:32; 21:8; 1Cor 12:28-29; 2Cor 12:12; Eph 2:20; 3:5; 4:7-13; Heb 5:12; 2Tim 4:5. We believe in the spiritual unity of the body of Christ, The Church, of one accord, one heart, and one mind, as in the unity of the Godhead. Unity in the Name of God ; LORD JESUS CHRIST, in the Word of God, Glory of God,(not men) and Love of God, as Jesus prayed for in John 17 ; that they may be as one as We are one. Psalms 133:1; 2Cron 5:13-14; John 17:1-26; Acts 2:1,46; Acts 4:24,32; 5:12; 8:6; 13:44; Rom 15:6; 1Cor 1:10; 12:12-13; Eph 4:3-6; Php 1:27; 2:2; 1John 5:7. We believe God gives giftings/talents, callings to men and women thru the Holy Spirit for the benefit of the Church's ministry. Acts 6:3,8; 9:10,36; Rom 11:29; 12:6-8; 1Cor 12:4-6,28; 1Cor 14:26; 2Cor 9:8; James 1:17. We believe as New Covenant Believers in the spiritual observance and celebration of God's Appointed Feasts, this includes Passover, Pentecost, and Tabernacles; as Jesus celebrated and fullfilled, was kept by the early Church, to be celebrated and remembered in the Church today. Ex 12:14; Lev 23:1-2,4; Joel 2:23; Zec 14:16; Matt 26:18; Mark 14:16; Luke 2:41-42; John 7:37-38; Acts 2:1; 18:21; 20:16; 1Cor 5:7-8; 11:23-25; 16:8; 2Cor 3:17. We believe in the reality and personality of the Devil and the fallen angels and the eternal judgement in the Lake of Fire for the Devil and his fallen angels. Isa 14:12; Matt 25:41; Luke 10:18; Heb 10:27; 2Peter 2:4; 1John 3:8; Jude 1:6; Rev 12:9; 20:10.